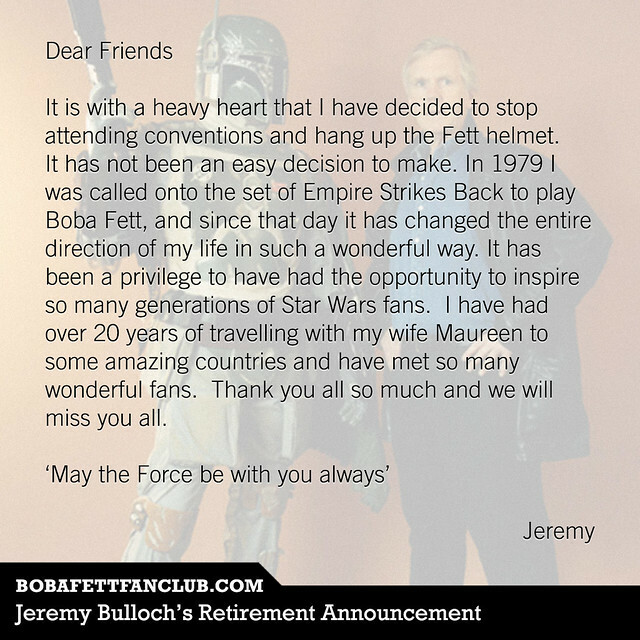 That’s right, this past weekend Jeremy Bulloch announced his retirement from the convention scene through the Boba Fett Fan Club. It’s the end of an era for fans of the greatest bounty hunter in the galaxy. Being an introvert, my wife convinced me to attend our first convention because Jeremy Bulloch was to be a guest. After we had already bought our tickets and made our reservations, he cancelled for what we later found out to be health issues. I was crushed, but we went anyway and did our first three cosplays. It was a fantastic experience and we started going regularly. In 2015 we started taking our son and he loved it too. 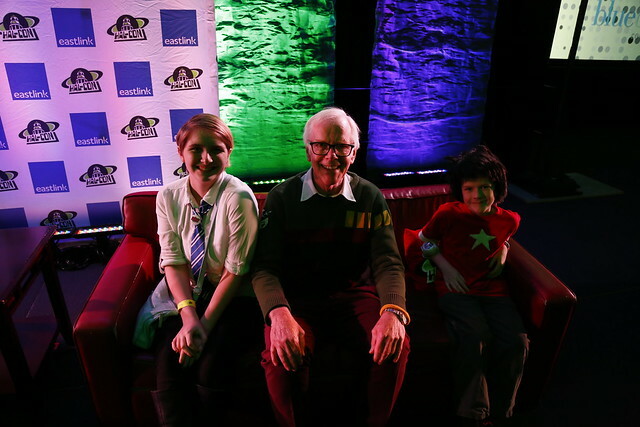 Then in 2016, Jeremy Bulloch was finally able to come and not only did we get to meet him, my son and our close family friend got to spend some time with him on stage. Running Shakespeare lines no less! It was a pleasure meeting Mr. Bulloch and it’s a memory I’ll cherish forever that I was able to share with my son. I hope he and his charming wife enjoy the peace of retirement. If you never got the chance to see him at a convention, he’ll still be taking part in send-in signing. If you have something you’d love to get autographed, you can send your requests here: imperialsignings@hotmail.co.uk. May the force be with you, Mr. Bulloch.